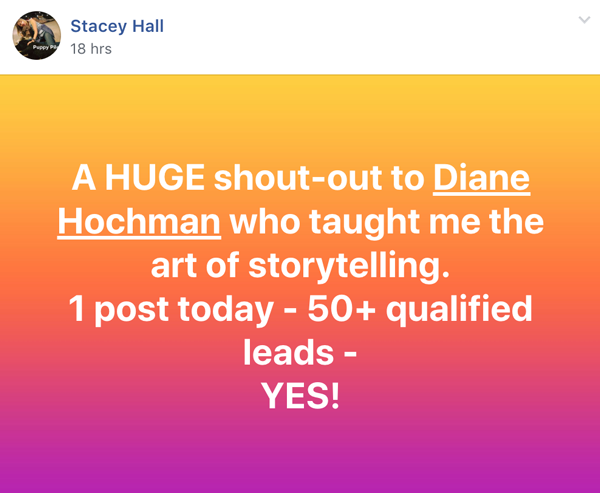 Stacey Hall gave a HUGE shout-out to the Queen of Attraction Marketing Diane Hochman this week. 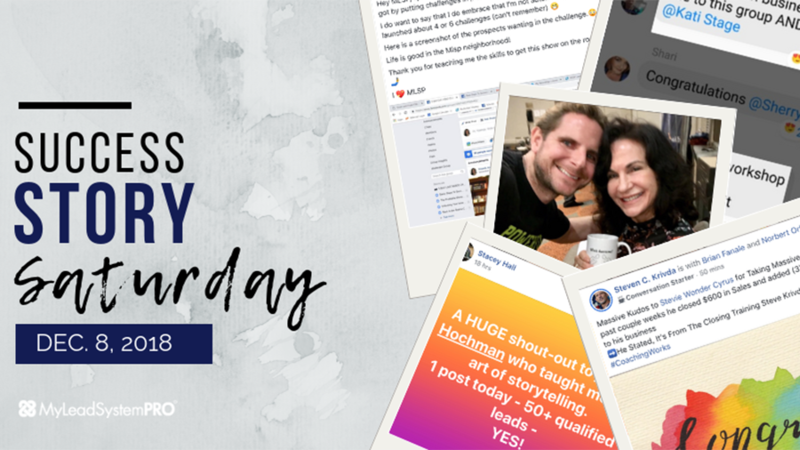 50+ leads simply proves how well storytelling works wonders for attraction marketing! Shout Out! 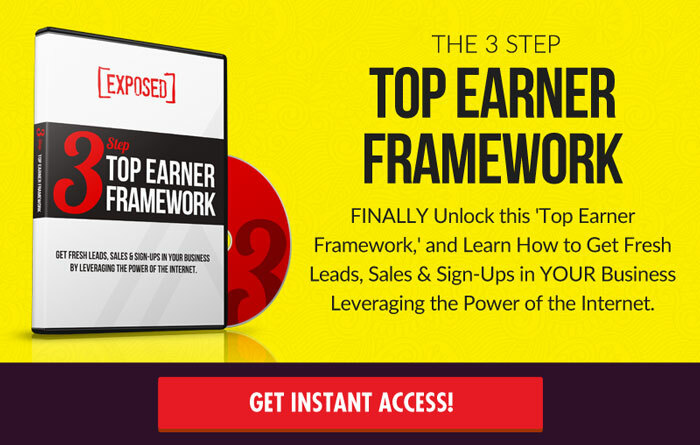 “This past couple weeks he closed $600 in Sales and added 3 new Sign ups to his business! 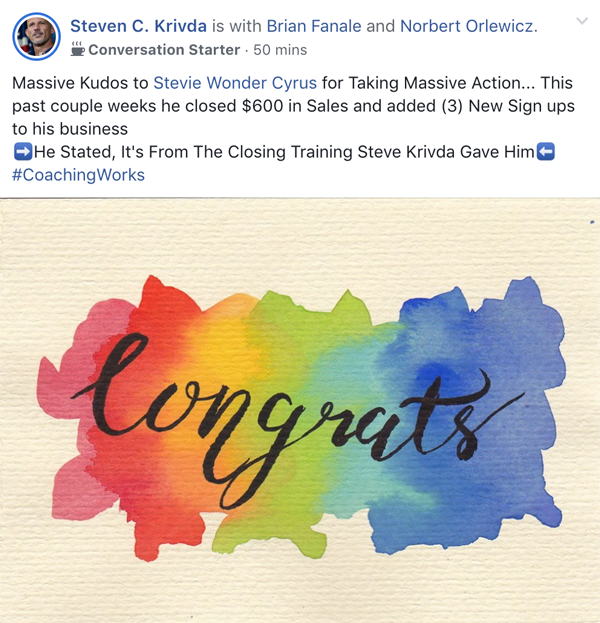 Stevie Wonder Cyrus not only has a cool name, he's getting some very cool results under the guidance of his coach Steve Krivda! In fact, he got a nice shoutout from his coach this week for raking in $600 in sales and pulling in 3 new sign-ups. This dude is smashing it. Antonio Starr is back on a mission for 2019. 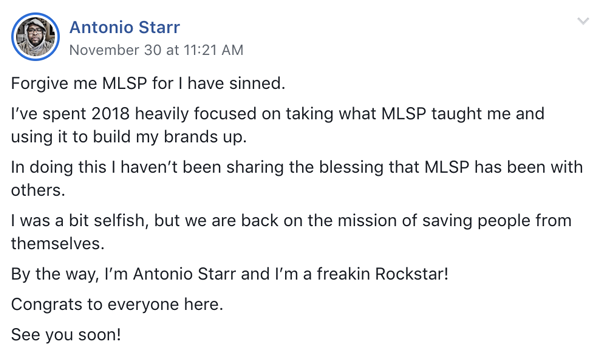 This guy is a rockstar and saving more people than he realizes already! But look out for this dude next year!! 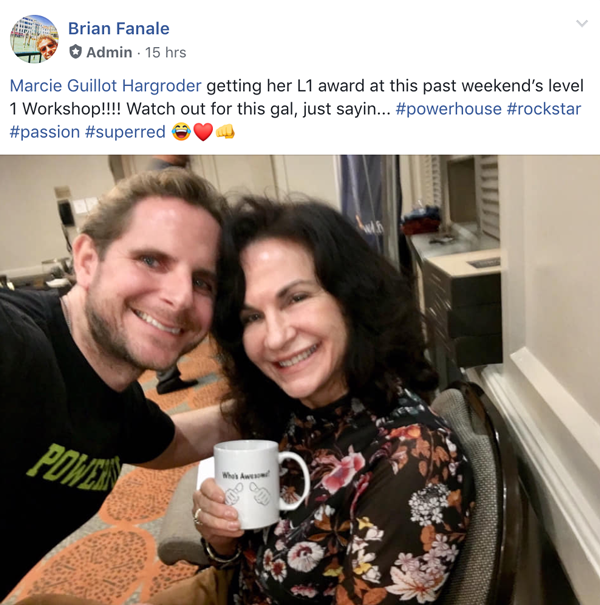 Marcie Guillot Hargroder got a big ole shoutout from MLSP CEO Brian Fanale this week. Brian got to present Marcie’s L1 award LIVE and in person at the MLSP Level 1 Workshop over the past weekend. She's killing it and looks like she'll be a social media marketing expert in no time the way she's going! Boom! 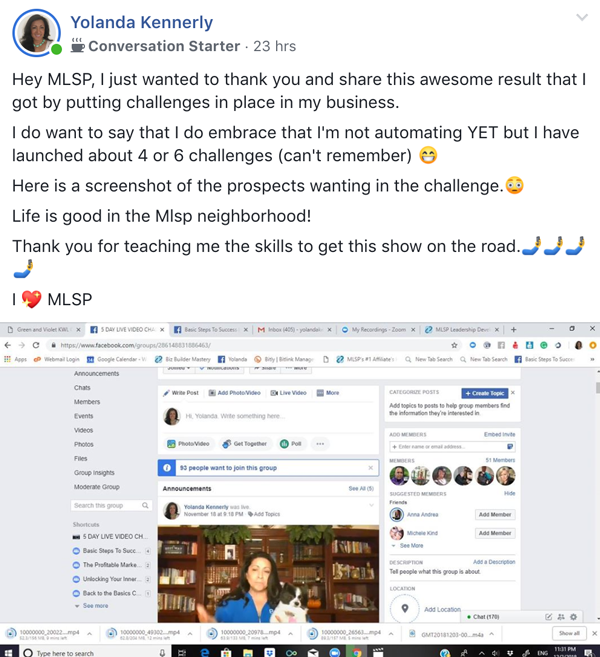 93 People Requested to Join Her Facebook Challenge Group! Yolanda Kennerly has been busy putting Facebook Challenges in place in her business. And the results for the action she's taken speak for themselves! 93 people clamoring to get in!